6WIND supports industry leading processors, giving customers their choice to select the best processor for their requirements. 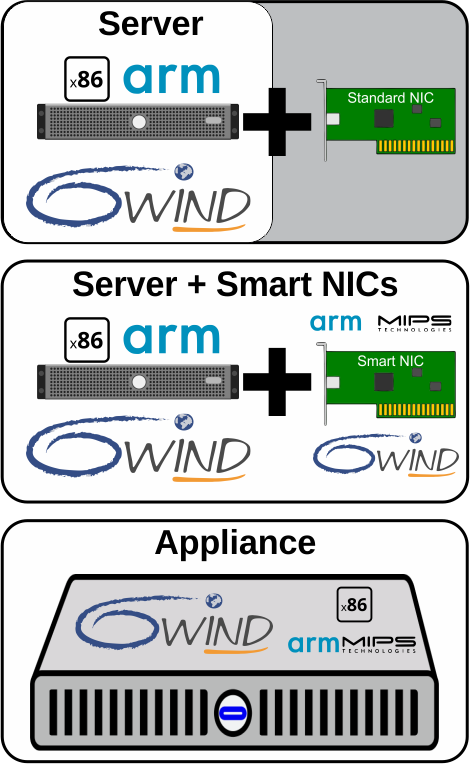 We do this for server, Smart NIC and appliance architectures. Customers can migrate seamlessly across processors and architectures. It is the same 6WIND software across each for ease of use.